Searching for a gift for that special "someone"? Does that special "someone" happen to be your garden? Show it you care by treating it to some Living Earth Organic Compost. When dug through your soil, it provides your plants with yummy nutrients, improves the soil's moisture retention and also gives those all-important worms a place to hangout and do their thing. It's easy to make your plants happy - simply wine and dine them with Living Earth Organic Compost. First we start off with some Living Earth Organic Compost, then we add a bit of... Actually that's all there is in this one. 100% Organic Compost brewed from recycled organic matter. This product must be mixed into your existing soil. 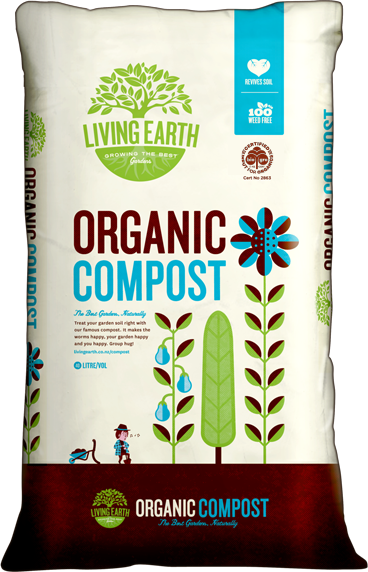 Dig Living Earth Organic Compost through the soil in your garden or your raised garden beds before planting. Dig a 50mm layer of compost into your soil. 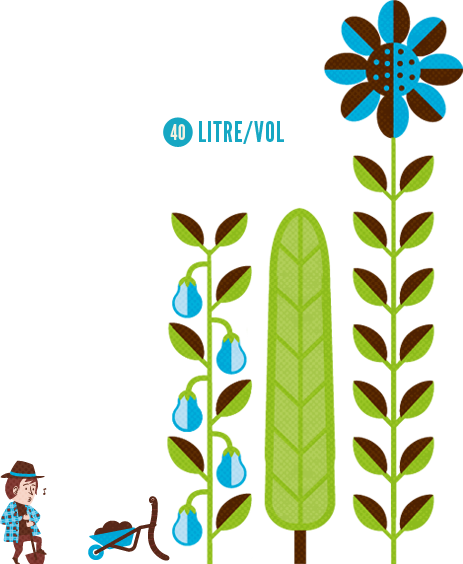 Feed your plants with Living Earth Organic Liquid Compost. It's the perfect partner for your garden. For best results apply Living Earth Organic Compost twice yearly. Your plants will dig it!